On behalf of admin of JML Law, A Professional Law Corporation posted in wrongful death on Saturday, Mar 03 2018. Every year, hundreds of thousands of Americans die in circumstances that entitled their family members to file a wrongful death claim or lawsuit. Fact: medical malpractice alone claims the lives of over 90,000 U.S. citizens each year, while annual motor vehicle fatalities total more than 30,000 deaths. In the year 2018, our world is just way too unpredictable and dangerous to know what might cause our death. But there are certain causes of death that may entitle family members, including spouses, parents, and children of the deceased, to seek financial compensation. Our Riverside wrongful death attorney at JML Law outlines the most common causes of wrongful death in California, and what surviving family members have to prove in order to obtain compensation for their emotional distress, funeral and burial expenses and financial damages. Motor vehicle accidents, including car accidents, truck accidents, pedestrian or motorcycle/bicycle accidents, hit-and-run, and other accidents involving vehicles and means of transportation. 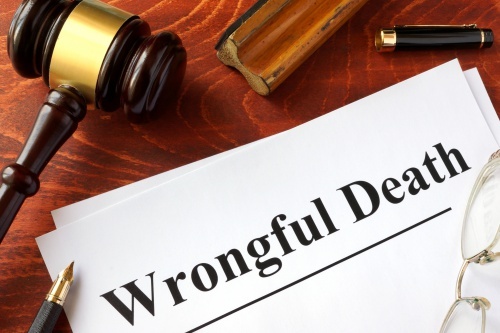 Regardless of the cause of the death, surviving family members that are entitled to seek financial compensation under California wrongful death laws have to prove four elements of a wrongful death claim or lawsuit. Negligence: you, as a surviving member, must prove that the death of your loved one was caused by negligent actions or negligent lack of actions, recklessness or carelessness on the part of someone else. Breach of Duty: in order to hold the defending party liable in a wrongful death case, you must prove that the party owned a duty to your family member, and, therefore, that duty was breached. For example, medical professionals, surgeons, nurses, and doctors have the duty to treat patients based on the accepted standards of care. Causation: a wrongful death claim is one of the most serious claims you can make against an individual, group of individuals, government or company. That’s why in order to obtain compensation for the loss of your loved one, you will have to prove that the defendant’s negligence, recklessness or carelessness caused the deceased victim’s death. Damages: when filing a wrongful death claim or lawsuit, you must also prove that you and the rest of your family members incurred financial loss and damages due to the death (funeral and burial costs, loss of income, medical expenses, etc.). In the vast majority of cases, you will require the legal help of a Riverside wrongful death lawyer in order to prove all of the above-mentioned four elements. Not proving at least one of the elements makes it impossible to hold the defending party responsible for your loved one’s death, and thus won’t bring you financial recompense. Consult our attorneys at JML Law about your particular case. Get a free case evaluation about how to pursue a wrongful death claim and how to prove the four elements in your case. Call our Riverside offices at 818-610-8800 or send an email.